There’s something about watermelon and summertime. I don’t really eat watermelon the rest of the year. But when the weather’s hot, that refreshing, crisp bite of watermelon is amazing. Every summer, I try out a different watermelon recipe. 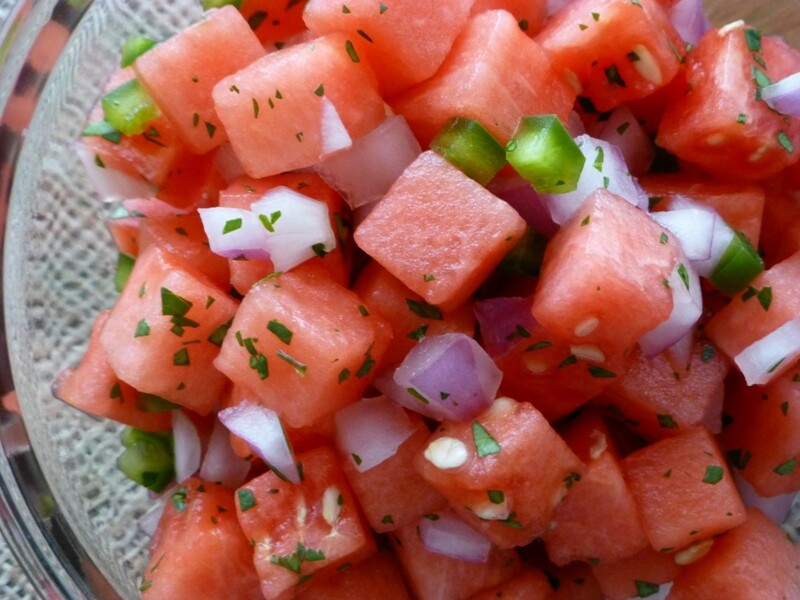 One year I made granita, another year a jenga board… This year – watermelon pico de gallo. It’s great by the pool or on a picnic. 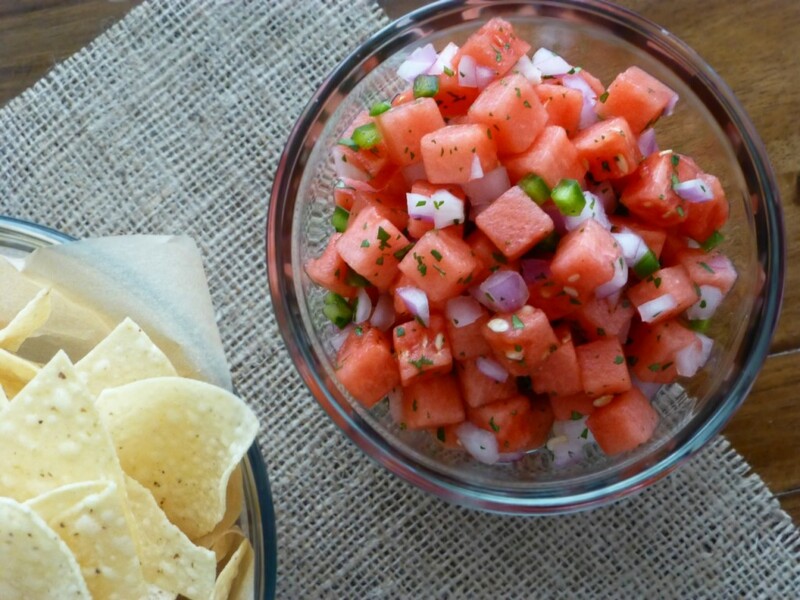 The subtle sweetness of the watermelon compliments the spiciness of the jalapeño, which adds an extra layer you don’t get in traditional pico. 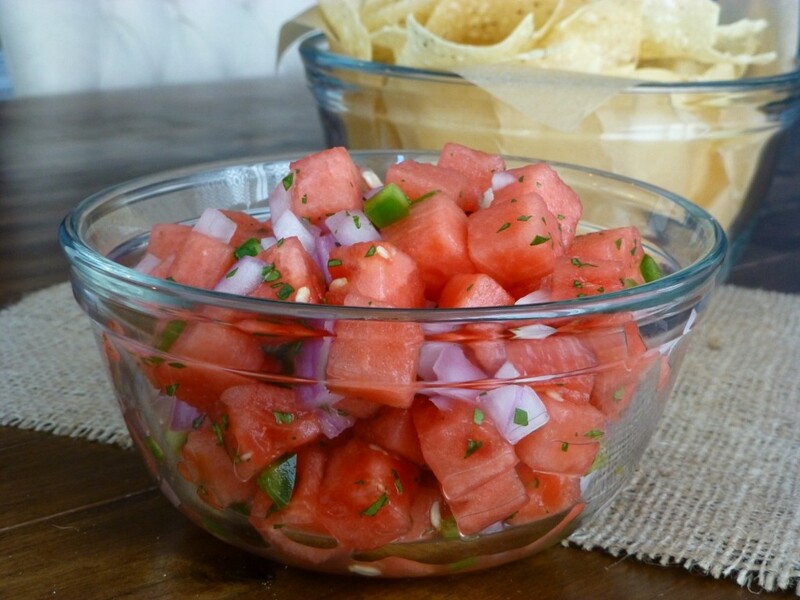 The longer you let the salsa sit in the fridge, the juicer the salsa becomes and the more the watermelon takes on the flavors of the other stuff. 1. Slice the watermelon in half. Place the flat side down and cut off the rind around the edges. Dice the watermelon into small cubes. 4. Combine all the ingredients with a few shakes of salt. At this point, I like to cover it and place it in the fridge for an hour or two, but you can dip into it right away. Serve with chips or on top of a piece of grilled swordfish.